Dr. Monica Burns is an Curriculum and EdTech Consultant, Apple Distinguished Educator and Founder of ClassTechTips.com. As an educator, Monica was part of her school’s Federal Magnet Funding leadership team and was a vocal advocate for bringing 1:1 technology into her 5th grade classroom. During her tenure as a classroom teacher, Monica used iPads to create engaging, differentiated learning experience to meet the unique needs of her students. Realising the power of tech tools in the classroom, Monica started ClassTechTips.com to provide a resource for educators and administrators on implementing EdTech in the classroom. Since launching ClassTechTips.com in 2012, Monica has presented to teachers, administrators and tech enthusiasts at numerous national and international conferences including SXSWedu, ISTE, and EduTECH. 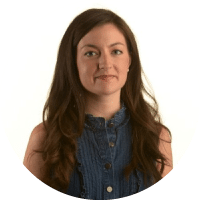 She is a webinar host for SimpleK12 and a regular contributor to Edutopia. Monica is the author of Deeper Learning with QR Codes and Augmented Reality: A Scannable Solution for Your Classroom (Corwin, 2016) and #FormativeTech: Meaningful, Sustainable, and Scalable Formative Assessment with Technology (Corwin, 2017). Monica visits school across the country to work with PK-12 teachers to make technology integration exciting and accessible. She also provides support to organisations using technology to reach children and families in need. In addition to being named an Apple Distinguished Educator in 2013, Monica is an Amazon Education Teacher Innovator, Book Creator Ambassador and Nearpod Pioneer for her use of engaging creation and formative assessment tools. Monica is a graduate of the University of Delaware and Hunter College, and recently completed her Doctorate in Global Education Leadership at Lamar University. Her mission is to help educators place the task before the app and promote deeper learning with technology. As a one-to-one classroom teacher I had the opportunity to explore how the use of digital tools could energize and elevate my instruction. This work in the classroom was extended through my doctoral work around the use of tablets to support literacy skill-building. Over the past five years my website ClassTechTips.com has reached educators around the world and I’m excited to announce that my new book for Tasks Before Apps: Designing Rigorous Learning in a Tech-Rich Classroom is now available on Amazon. I’m very excited about the growth of virtual reality and augmented reality in the classroom. When I wrote my book Deeper Learning with QR Codes and Augmented Reality, scannable technology was starting to grow in adoption. It is so encouraging to see that QR codes are becoming popular enough that the new iOS 11 update includes a QR code scanner built into the camera. The network of Apple Distinguished Educators I am part of has a huge influence on my work. It has been amazing to collaborate, share and learn from this group of passionate educators. I love listening to interviews and watching documentaries. From podcast episodes of Fresh Air to sports radio, I’m always paying attention to what storytelling looks like in different industries. I’ve had the chance to work with a variety of companies during the past few years. I’m a big fan of open-ended creation tools that give students a space to share their learning with the world. In addition to speaking engagements and sharing new EdTech products on my blog, this year I’ve hosted webinars for a handful of companies to share thought leadership on a variety of topics related to education technology.